Manitoba’s annual crop of berries, saskatoons, raspberries and strawberries, come of age by late June. 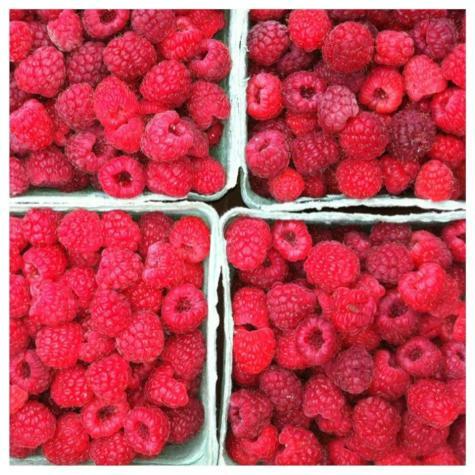 That’s also when legions of berry lovers hit fields across the province and harvest the sweet, luscious fruit for jams, pies and tarts. A woman armed with empty pails catches a ride aboard a tractor rumbling down a dirt road. She’s about to join a hunt. 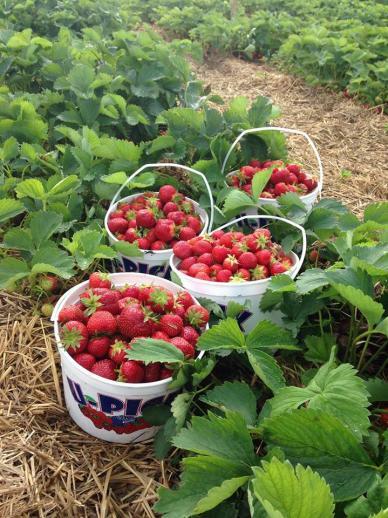 Acres and acres of red, ripe strawberries are ripe for the picking and an army of U-pickers invade the field. A little further down the road, rows of raspberries are also plump for the picking. 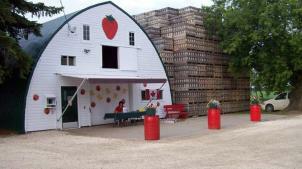 In Manitoba, pick-your-own-berry farms and orchards abound. On average, prime berry picking season lasts between three and four weeks in June and July. Take a veteran picker’s tip: Always call U-pick farms for hours and conditions before you visit. And to make the day in the country even better, leave time for family friendly activities at nearby farms, parks and attractions. Take a sticky fingers berry-picking expedition. Here are some of Manitoba’s most popular U-pick farms. 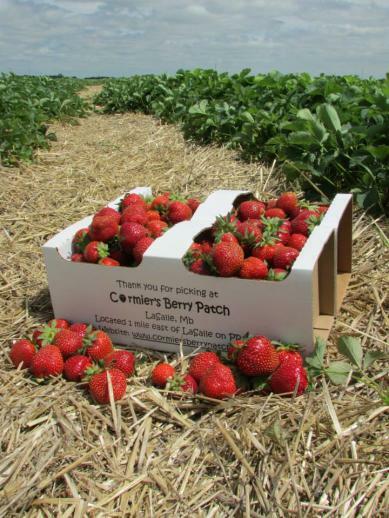 Mayfair farms in Portage La Prairie, is one of Manitoba’s most popular U-pick farms. There are also other family attractions nearby at Island Park. Take a ride down the giant “Splash Attack” or “Funnel Tunnel” waterslide at Splash Island or play a round of golf. And don’t miss the pretty arboretum. 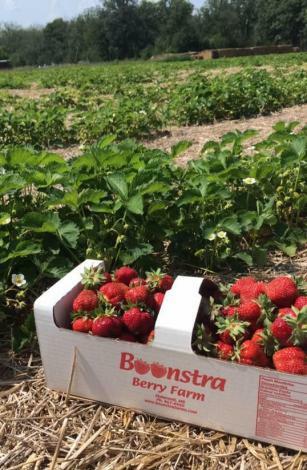 Named Manitoba’s best farm by CAA magazine, Boonstra Farms doesn’t disappoint. 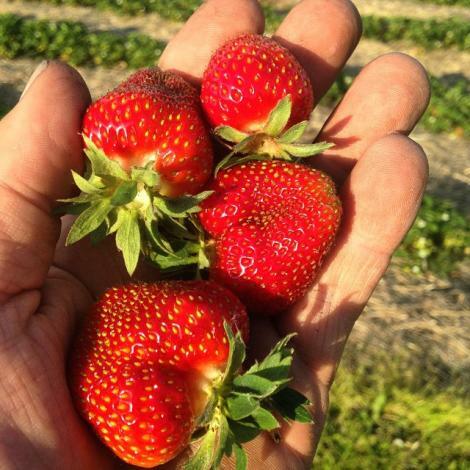 Here, there are 25 acres of plump strawberries and four acres of juicy raspberries. As an added bonus: recipes for no-cook strawberry jam come with every U-pick bounty. After you’re done filling your pails, take a tour of the farm. Explore the Great Buffalo Rock, bale pyramid and petting zoo complete with a llama, emu and alpaca. Located near La Salle, Cormier’s Berry Patch has 25 years of gardening history. What was once a hobby quickly became a successful small business. 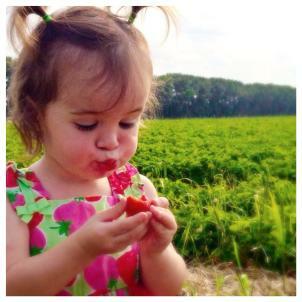 Wander through 10 acres of strawberries for a quaint, U-pick experience and support local farmers at the same time. Think we missed a U-pick farm? Tell us about your favourite farm in the comments! This story was originally commissioned by Travel Manitoba Media Relations.